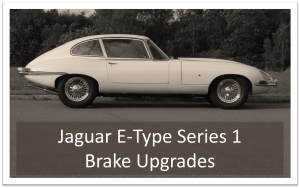 E-Type brakes are often criticised. Much of this due to the Dunlop brakes used on the early cars. These use a small brake pad and thin discs which become hot and can lead to brake fade and warping. Ground breaking in their day, the Dunlop brakes now struggle to meet the demands of today’s roads and drivers. Series 2 E-Type brakes saw some changes. New Girling 3 piston front calipers helped the braking but added to the un-sprung weight. Girling rear calipers were also introduced. Sadly, Jaguar did not use a vented front disc so brake fade remains a possibility. Series 3 E-Type Brakes saw the use of vented front brake discs for the first time. The calipers remained virtually unchanged. 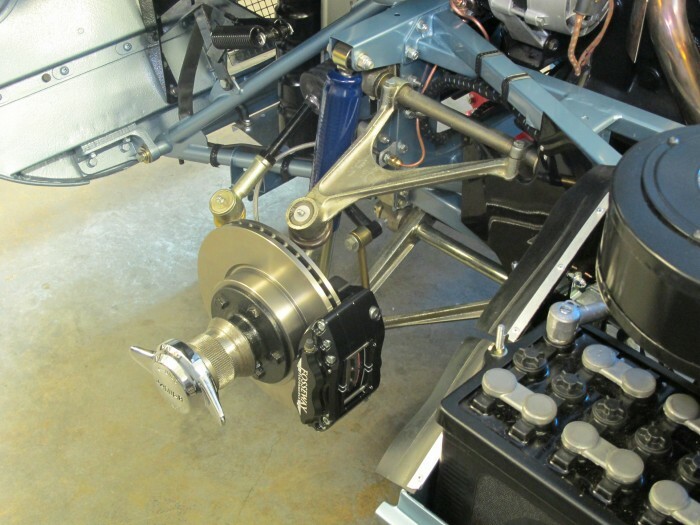 Modern, four piston brakes had to wait until the XJS. Our calipers simply replace your exiting brakes and are fully compatibly with your master cylinder and servo. Our up-rated vented discs can be fitted directly to your existing hubs. 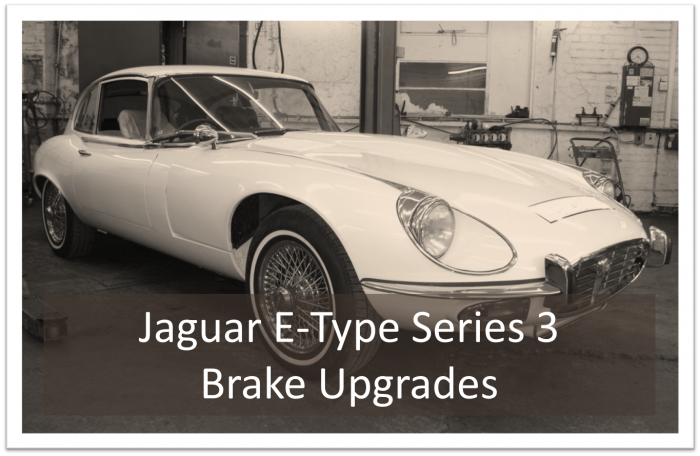 All our E-Type brake upgrade kits come with high quality brake pads and stainless steel braided brake hoses.